Cuba’s communist dictator is finally dead. Good riddance. His apologists live on but they will look foolish in the rearview mirror of history. 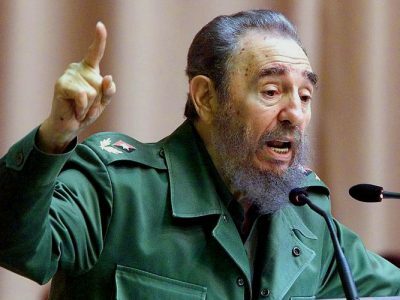 Cuba’s communist dictator Fidel Castro certainly enjoyed a cult of personality courtesy of self-styled humanists who still contort themselves to overlook his horrific record of human rights abuses, murder and repression. But his detractors almost always had more direct experience in dealing with his radius of damage than his defenders. History will not absolve Castro for repeated assaults on freedom clothed in populist garb. Whether it was torturing and executing political opponents, rounding up homosexuals, creating neighborhood networks to spy on fellow citizens, or encouraging the Soviet Union to nuke the United States, he was a bully and a thug: the latest in a long line of self-interested opportunists who rule through fear and pretend that it is love. Yes, Fidel Castro toppled the brutal and corrupt Batista regime, which mid-century America unwisely backed for too long. But he simply replaced one form of tyranny with another, briefly more fashionable, ideological flavor. One of the most prevalent forms of moral myopia on western campuses and their downstream affiliates is a tendency to excuse whatever oppressive totalitarian violence is committed in the name of the left. This inevitably elevates the ideological over the individual and that never ends well in the storybook of human history. And when the full story of Castro’s personal enrichment and paranoid hold on power for more than a half-century at the expense of individual rights and individual life becomes better understood, those folks who fell for the combination of political myth and personal charisma, the late night conversations over drinks and cigars, will have been exposed as enablers to his tropical tyranny. His apologists will soon look as foolish as those folks who praised “Uncle Joe” Stalin and Mao’s Great Leap Forward, always arguing that “you’ve got to break a few eggs to make an omelet”—while skipping over the fact that the eggs in this equation are always people. Among the current accounting of Fidel’s crimes, here are a few books and essays worth a read: a Cuban dissident poet’s account of life in Castro’s gulag, Against All Hope; a first person account of Fidel’s rise and his descent into tyranny and torture, more recent Beast articles that look at Cuba’s sham reforms and James Bloodworth’s searing obit “Adios Caudillo”. If you claim to care about universal freedom and human rights you can’t simply shrug your shoulders at these accounts of what is for many still living history. The double standard undercuts any claim to moral clarity. But for Americans still tempted to don a Fidel or Che t-shirt in simple-minded solidarity – most recent among them, proud non-voter Colin Kaepernick—I’d suggest they look around and recall that during the Cuban Missile Crisis, Castro specifically requested that Soviet Premier Nikita Khrushchev launch a first nuclear strike against the United States—“However harsh and terrible the solution”—murdering millions of Americans along the eastern seaboard. How does that t-shirt feel now? In the fullness of history, we are entwined with our enemies. The presidency of JFK and Castro’s early dictator days are inexorably connected as are the histories of nine other American presidents who Castro outlasted by holding on to power through various mechanisms of oppression.